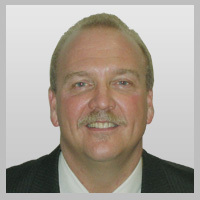 ﻿﻿ Greg Andrews has been a highly successful sales professional since 1980. He brings to the Fusion Performance Group team 25 years experience as a Disability, Life, Investment and Benefits Insurance Broker. Greg delivers on the Fusion Performance promise of hands on, in the trenches experience in sales and coaching. Our clients appreciate how Greg's consultative and relationship building approach to Insurance Services can be applied to many of the sales positions within the financial services industry. Greg is a 22-year director of the Quesnel & District Chamber of Commerce as well as a newly appointed director to Quesnel Economic Development Corp. and is an active member of the Rotary Sunshine Club. Greg makes his home in Quesnel, BC with his wife of 27 years Judy. Their two girls attend UCC in Kamloops, BC. For fun, Greg rodeos as an amateur team roper. He is blessed with a golf handy cap of 28 and hates the gym 6 days a week.